As the warmer seasons approach, many restaurants and cafes have an opportunity to offer their clients alternative seating areas in the form of outdoor tables. However, as they are located outdoors, there is no reliable way to protect customers from the sun or rain. No way, that is, except for awnings. Shades Awning & Canopies is a professional expert in various types of awnings, including cafe and restaurant awnings. We have a unique approach to the UK market needs and have spent many years building up a reputation for ourselves with out excellent level of service. With cafe awnings manufactured by us, you can be sure that you’re receiving the most optimal solution. Your restaurant’s or cafe’s garden areas, patios, and relaxing areas can now be completely protected from the sunlight, as well as rain. With our incredible awnings you can effortlessly add extra space to your restaurant, which is guaranteed to help generate more revenue. Thanks to the added space in the warmer months, you can not only fit in more clients, but also promote your business for various outdoor events and parties. 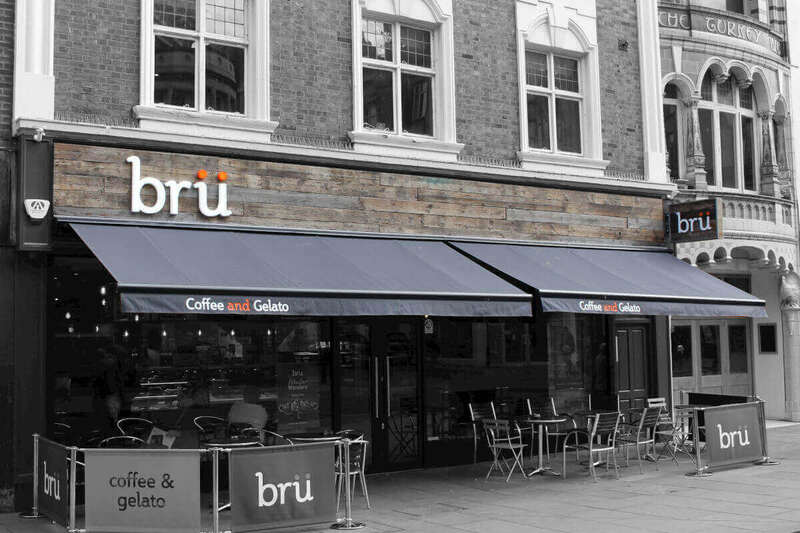 With Shades Awning & Canopies, you can be certain you’ll find just the restaurant awning you’re looking for, as we offer one of the most robust style selections in the UK. We can guarantee that you will be satisfied with our selection!